Kate Hudson spent the baseball season cheering on boyfriend Alex Rodriguez -- and his former manager Joe Torre thinks that it helped the Yankees win their 27th World Series. "Somebody is relaxing him, that's all I can say, because he certainly looked like he enjoyed himself this year." Torre tells "Extra" in an interview to promote the Safe at Home Foundation, which raises awareness of domestic violence. Torre goes on, "I know how important baseball is to him, so whatever the reason, it seems to be working." Hudson, 30, and Rodriguez, 34, have been dating since May 2009. 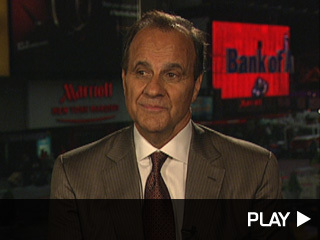 Tune into tonight to see more of "Extra's" sit down with Joe Torre!